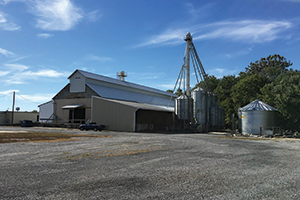 Waynesboro-based New Country Organics produces certified organic,soy-free feed and livestock minerals. Waynesboro-based New Country Organics was looking for a way to expand its sales in Western states when it discovered a nearly century-old feed mill in Lubbock, Texas. The revamped mill, which is expected to start production next year, is expected to play a key role in ramping up the company’s growth. New Country Organics, which was founded in 2008, produces certified organic, soy-free feed and livestock minerals. Company CEO Jim Campbell described the Lubbock mill as “a good fit. It gives us access to new markets.” The mill is expected to pro­vide New Country feed to Texas, Arizona, Colorado, New Mexico, Oklahoma and California. New Country’s expansion is a reaction to a growing national interest in organic food. Readying the Lubbock mill for full-scale production will take place in two phases. The first phase includes preparing the facility to serve as a distribution site. Feed produced in Waynesboro will be shipped from Lubbock to customers in the Western states. Phase two involves making the mill a certified organic feed processor. “The mill has to be in excellent shape, and it has to be spotless,” Campbell says. Plans call for the mill to begin production during the first quarter of 2017. New Country sells products in bulk to wholesale customers, such as feed and hardware stores. It also sells products to retail customers online. The company has 22 full-time employees in Waynesboro and expects to create about 15 jobs during the next 18 months in Lubbock. In addition to feed, the company also sells certified organic kelp from Iceland. “It’s great as a feed supplement. We ship it all over the U.S.,” Campbell says.